And so, as another new year is upon us and we’re now looking back on the one we‘ve been passing through with a mixture of uncertainty and dread, what do we see? Well, we hate to sound pessimistic, but if the truth is to be told we’re seeing the same old problems our government is supposed to have been solving with the idea of sweeping them away into oblivion never to be seen again, and we’re therefore wondering if we’d missed something on the way. And so we’re also wondering why our government, after all these thirty four years of political independence, has not been able to eliminate the terror called austere bureaucratic corruption from our little paradise, and instead it just allowed it to escalate wildly instead. The way we see it then, there is something seriously lacking here. And so we remind one more time. In January 2014 Parliament made two changes to this country’s Constitution that have been boggling the mind ever since. It was in connection with Controller and Chief Auditor, Fuimaono Camillo Afele’s annual report for the year 2011. Tabled in Parliament about a year previously it was not debated in the Assembly as the Constitution ruled, but instead it was shelved. And why was it not debated but shelved? Because the report was so thickly smeared with corrupt practices emanating from within the government over the years, it was conceivable that no one in the Human Rights Protection Party wanted to touch it. What followed then was a trick. Aimed at circumventing the apparent perpetration of corruption within the government over the years that the C.C.A. report was now disclosing bit by bit for everyone to see, it was a masterstroke on the government’s part. The real worry though was that this was not the first time this trick had been applied by the same government. They did it back in 1995 in a bid to remove the Controller and Chief Auditor then, Su’a Rimoni Ah Chong, from office for telling the truth in his 1992-1995 Report. This time though, they amended the Constitution to ensure that Fuimaono’s report would not be debated, and then they added salt to the wound by appointing a parliamentary committee to check if this country’s top accountant had fibbed in his report. In any case, that would have been the ultimate insult. And then as if to seal the wound in the hope that peace would be maintained, Prime Minister Tuilaepa took the floor and announced that the Controller and Chief Auditor’s appointment would be extended from three to twelve years, and silence ensured. But Tuilaepa was not finished. A little later he told Parliament that change in the Constitution would be enacted once the Constitution Amendment Bill (No. 2) 2012 that was presently before the House, became law. It was a Friday. And perhaps every M.P. was eager to get out of that Parliament so that they could go home and close their minds to the worrying report that was now before them. So that in the vote that soon followed, 46 M.P.’s supported the bill, it had become law in a jiff and Tuilaepa had won another astounding victory in Parliament. But why have these seemingly abrupt changes in this country’s Supreme Law been boggling the mind ever since? Well, because as Tuilaepa has rightly pointed out, a similar change in the Constitution had happened before. He said: In the past the Chief Auditor’s term of office was 62 years, but then “things had happened” that required the (Human Rights Protection Party) H.R.P.P. (government) to change the law. That was why the term was reduced to three years. So what are those “things that happened” in the past that Tuilaepa is now talking about? He did not explain. So let us tell you what they were. They were practically the same things that Controller and Chief Auditor Fuimaono, is now telling us about in his own reports. They were instances of austere corruption that have been permeating unstoppably throughout the government since then, and they are continuing to do so unabated today. 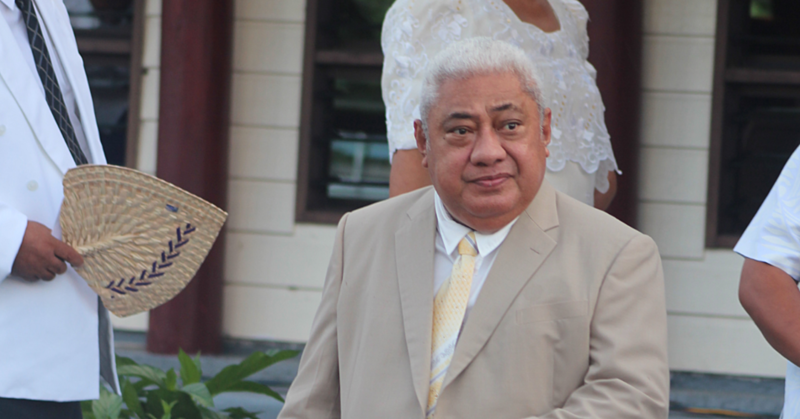 This time Tuilaepa was talking about Su’a Rimoni Ah Chong’s report that implicated six cabinet ministers who were allegedly involved in improper activities and payments. In response then, the government set up a Commission of Inquiry to discredit the Report. Just like they’ve just done this time, 20 years later. As it turned out, the Commission looked not into the irregularities alleged in Su’a’s report, but into Su’a, the man, instead. 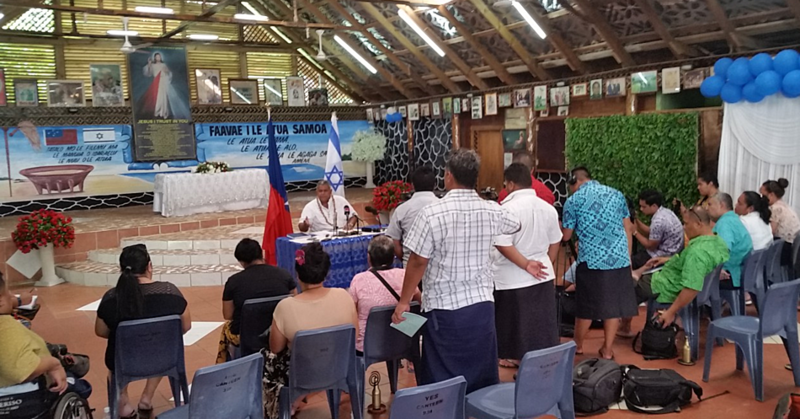 Among the members of the Commission of Inquiry were several individuals who were criticized in Su’a’s report; by that time Su’a had also refused to authorize illegal payments to certain Cabinet Ministers. In July 1995 the government suspended Su’a. In response Su’a argued that under the Constitution, the Controller and Chief Auditor was answerable only to Parliament. And then to show who was boss, the government amended the Constitution with the sole purpose of removing Su’a from office, and Su’a went away quietly. Four years later a Cabinet minister was shot during the party’s birthday celebrations. Two Cabinet Ministers criticized in Su’a’s report were found guilty of their colleague’s murder; they were jailed for life. In May 2003, Su’a Rimoni Ah Chong was awarded the Transparency International’s Integrity Award. That annual award recognizes the courage of individuals and organizations in their fight against corruption. Our point is that the corruption that has been clearly spelt out in both Su’a and Fuimaono’s reports are inseparable, and yet using the right method they are stoppable. We respect our members of parliament as our leaders and lawmakers. We respect them enough to the point that we are quick to abandon our prejudices and our doubts and think of them only as strong pillars of integrity, on which this country founded on God will take refuge in times of despair and uncertainty. They know that everyone is equal under the law they’ve made; the poor, the idiot, the rich, the upright, the powerful, the corrupt. And with that thought in mind we say the law is not there for the government and parliament to change any time they feel like it for the sole purpose of perpetrating corruption. Since every time they change the law to rubbish a report by a Controller and Chief Auditor, they are vilifying the integrity of that Auditor who they themselves have put in that position of authority, and at the same time they are also denigrating the name Samoa wherever in the world it’s uttered. Which follows that if we were to change the law, let us not change it to perpetrate corruption, but to eliminate hardship and absolute poverty in this country. And so, here’s our challenge to Prime Minister Tuilaepa and his government, which should also be the public’s challenge. That way democracy should start working equally for everyone, as it surely should in our little paradise. May you have a safe, and peaceful New Year Samoa.